• Mastercard Melody to come to life at Mastercard Sensory Lab during GRAMMY Week and in new U.S. ad with Camila Cabello. Purchase, NY - February 8, 2019 - Setting a new tempo for brand expression, Mastercard debuts its sonic brand identity, a comprehensive sound architecture that signifies the latest advancement for the brand. Wherever consumers engage with Mastercard across the globe - be it physical, digital or voice environments - the distinct and memorable Mastercard melody will provide simple, seamless familiarity. The news comes on the heels of the company’s recent transition to a symbol brand and is part of its continued brand transformation. The result, a distinct and memorable melody with adaptations across genres and cultures, making it locally relevant while maintaining a consistent global brand voice. Also, the use of varying instruments and tempos help to deliver the Mastercard melody in several unique styles such as operatic, cinematic and playful as well as many regional interpretations. 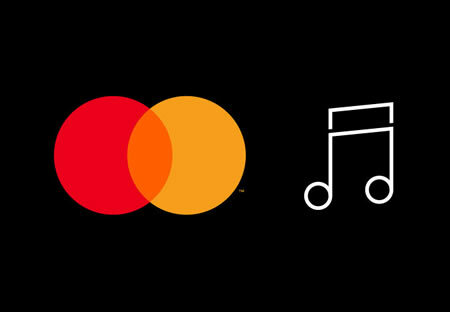 The Mastercard melody is the foundation of the company’s sound architecture and will extend to many assets, from musical scores, audio logos, and ringtones, to hold music and point-of-sale acceptance sounds. • Melody comes to life during GRAMMY Week. In the lead up to the 61st GRAMMY Awards, Mastercard will launch a new multi-channel marketing program starring GRAMMY-nominated artist Camila Cabello, which will be the first creative output to feature the brand’s sound logo. Following the U.S. introduction, the Mastercard sound will head to The BRIT Awards in London and then Mobile World Congress in Barcelona. Mastercard would announce additional activations and sonic integrations around the world in the coming months. Sound On: @Mastercard Debuts Sonic Brand.